Yesterday Dezi met Maggie. She lives in the neighbourhood on the other side of the highway. 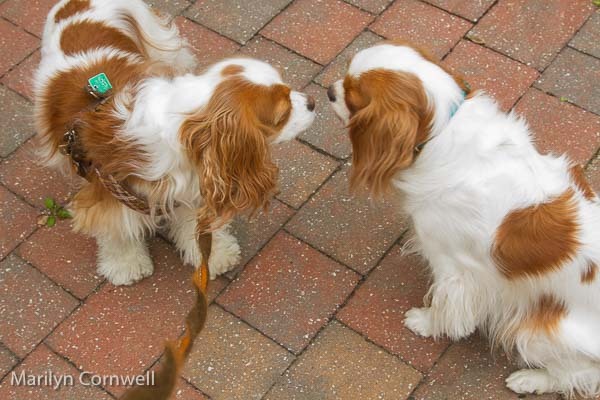 She's a smaller Cavalier King Charles Spaniel, which is unusual. Usually Dezi is the smaller dog. They sniffed and did the dog circle dance. 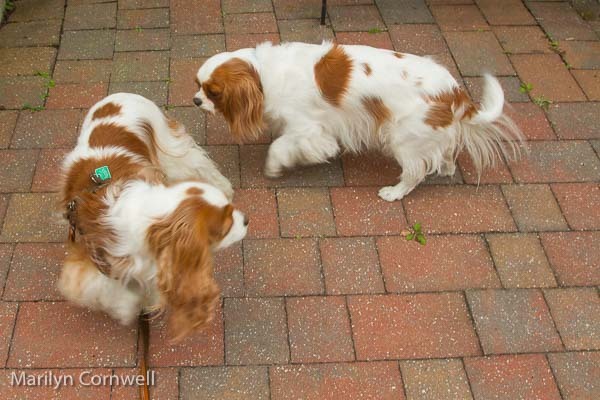 It was our third meeting within the last year of Blenheim spaniels. We are onto another day of big waves - they are now at the bottom of the stairways to the beach, so it doesn't look like anyone can walk the beach at all. They are mesmerizing!